Dansk Folkeparti (DF) is celebrating its 20th anniversary today. The right-wing populist party was founded on 6 October 1995 by Pia Kjærsgaard, Kristian Thulesen Dahl, Poul Nødgaard and Ole Donner. Kjærsgaard led DF until 2012, when she was replaced by Dahl. 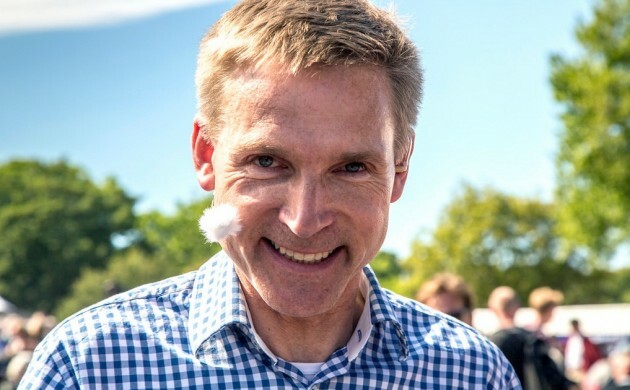 In June 2014, the party could count some 14,000 members, which made it the third largest political party in Denmark measured by the size of its membership base. Only Venstre and Socialdemokraterne have more members (over 40,000 each). And DF continues to grow, gaining in popularity particularly among the youth. Since February this year, the number of Dansk Folkeparti Ungdom (DF Youth) members has increased from just over 700 to 1,000. “Some are joining us out of their love of the country. Others believe we are the only party that takes care of the weak, while some think Socialdemokraterne have failed in regards to wage dumping and Eastern European workers,” Lucas Thelander Hultgren, the leader of DF Ungdom, told Metroxpress. One month before the June general election, DF had a 17.7 percent share among young first-time voters, according to a YouGov survey for Metroxpress. Dansk Folkepari currently has 37 seats in Parliament and its main focus is on immigration and on promoting growth in rural Denmark. A documentary at 20:00 on DR1 tonight will pay tribute to the anniversary.